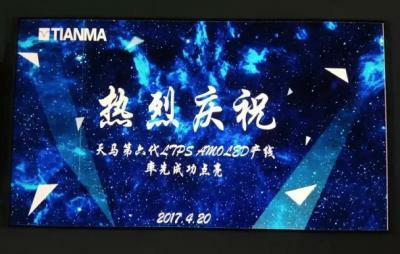 TianMa Micro-Electronics announced that its 6-Gen LTPS AMOLED fab in Wuhan, China, is now starting to produce panels. This is the first 6-Gen AMOLED line in China to enter production. 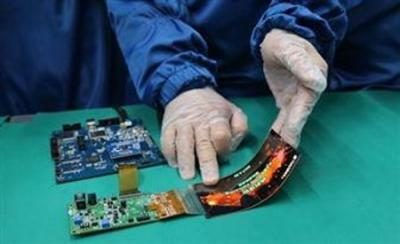 The new fab will produce both rigid and flexible OLEDs. According to reports TianMa is focusing on VR and AR devices, wearable devices and foldable devices. Last month TianMa demonstrated three OLED panels - a 5.5" FHD panel, a 5-inch FHD panel and a flexible 5.46" panel, so it's likely that the smartphone market is also in focus. If TianMa will indeed start offering flexible OLEDs it can be great news to device makers that seek flexible OLEDs as currently the only producers are Samsung and LGD (with limited volume) which makes it hard to acquire such displays. TianMa joins China-based OLED makers Everdisplay, BOE, Truly and Visionox. A year ago TianMa demonstrated several rigid and flexible OLED panels at SID 2016. Towards the end of 2016 TianMa also announced plans for a 2nd 6-Gen AMOLED fab in Xiamen.